As my last quilt “Picnic with Bella” was fun (and also quick) to quilt, I decided to have a look in the wardrobe and check those UFOs, i.e. 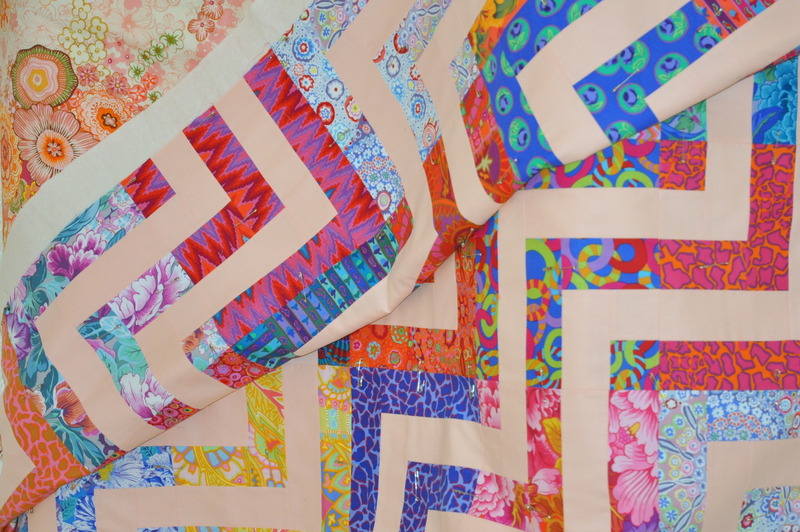 unfinished objects = quilt tops. 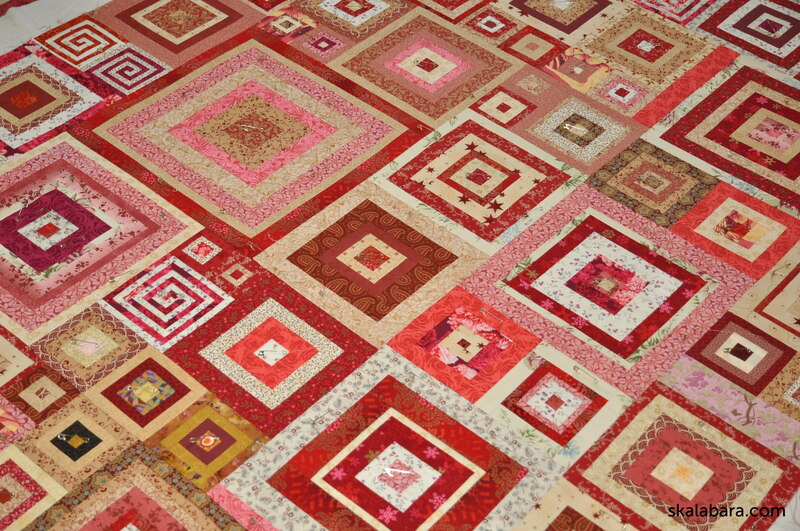 The first one I found was the Red UFO top, found the matching backing and made a quilt sandwich with basting pins. 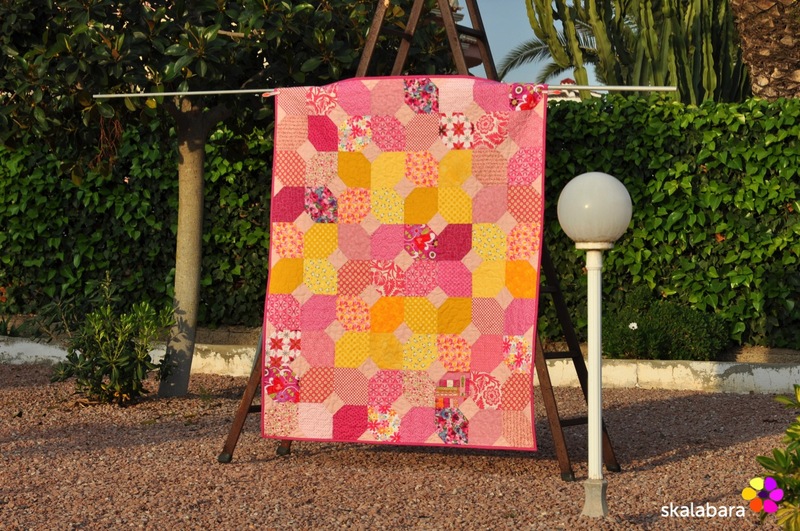 This quilt top was sitting on the shelve at least for 4 years. 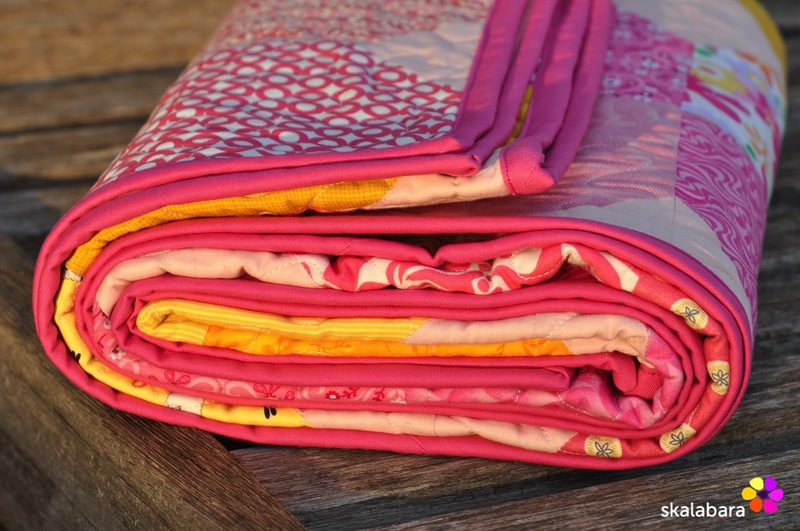 I always loved the quilt design, but my color choice since then has changed very much. 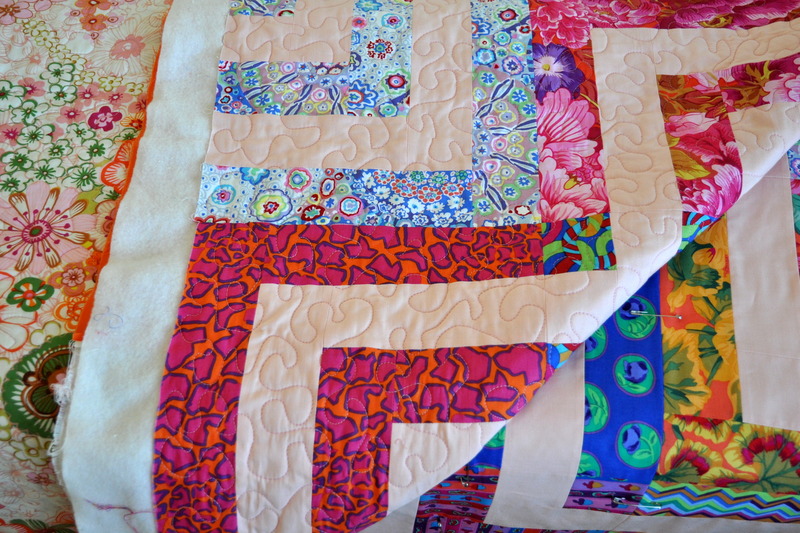 These were my beginner years without any knowledge about modern quilting, following the classical color combinations. 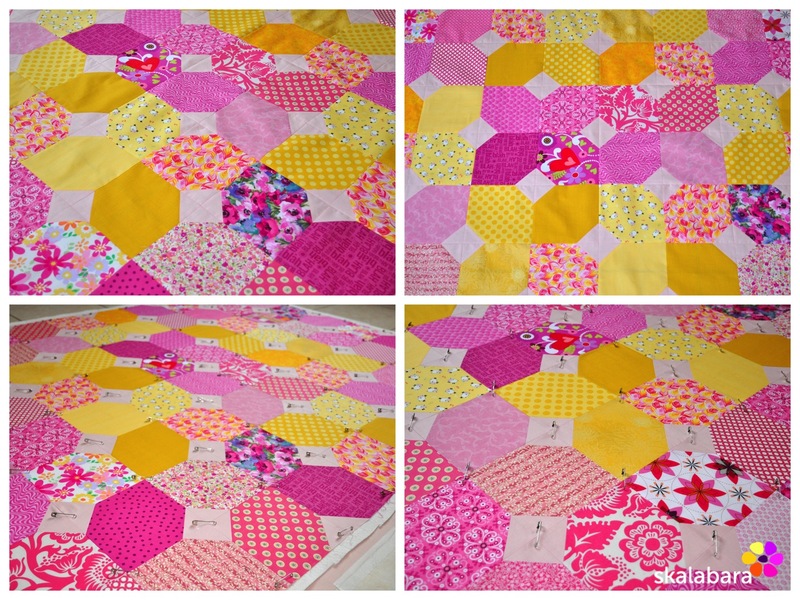 I started quilting on Thursday afternoon and today midday I finished the quilt with binding. 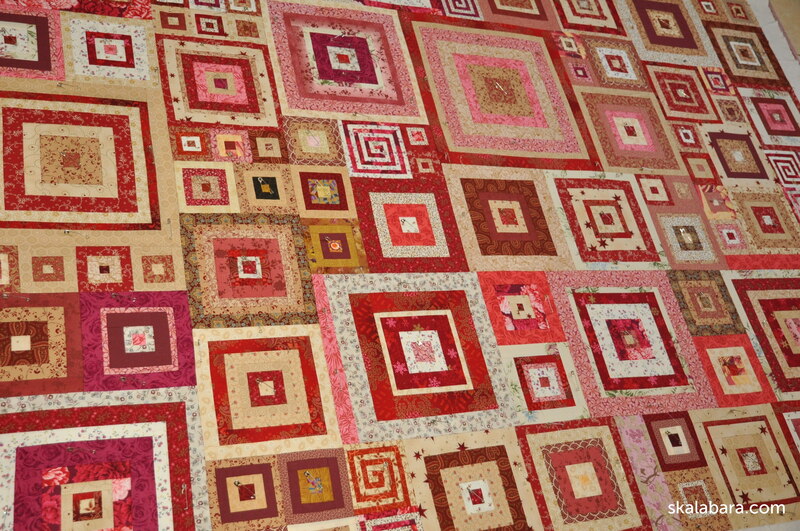 Once more I went for free-motion quilting with meanders. As the weather is warm and sunny, but very, very windy I could not take any pictures. 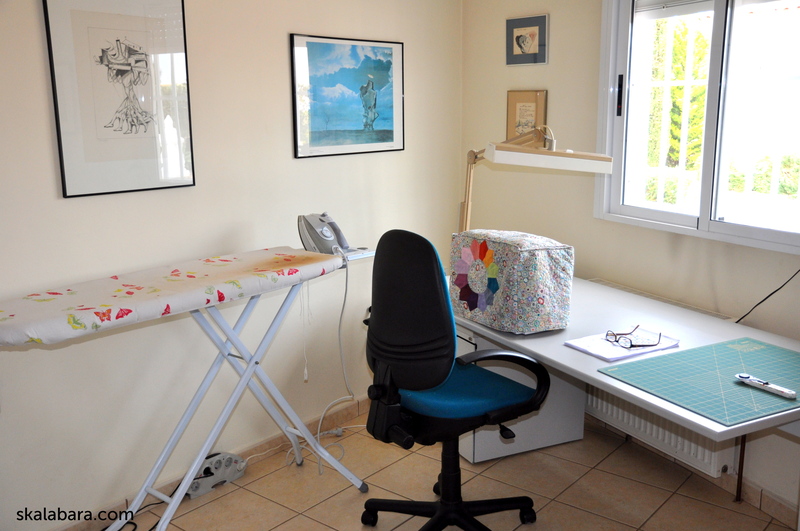 I have cleaned up my sewing room and decided to take some photos here. 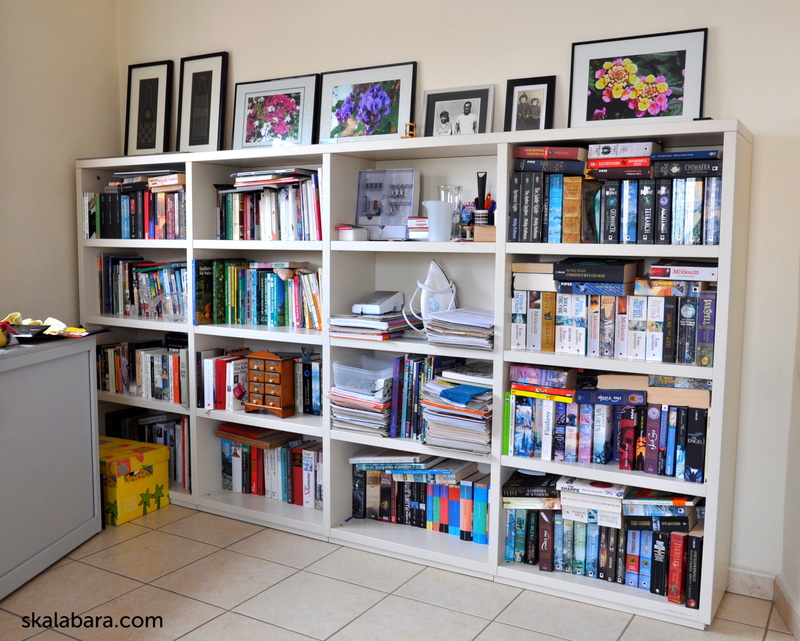 My sewing room is half for me and quilting, and half for the books we have. My husband has a lot of fantasy novels and always has problems finding his favorite book as they are stacked in 2 rows. 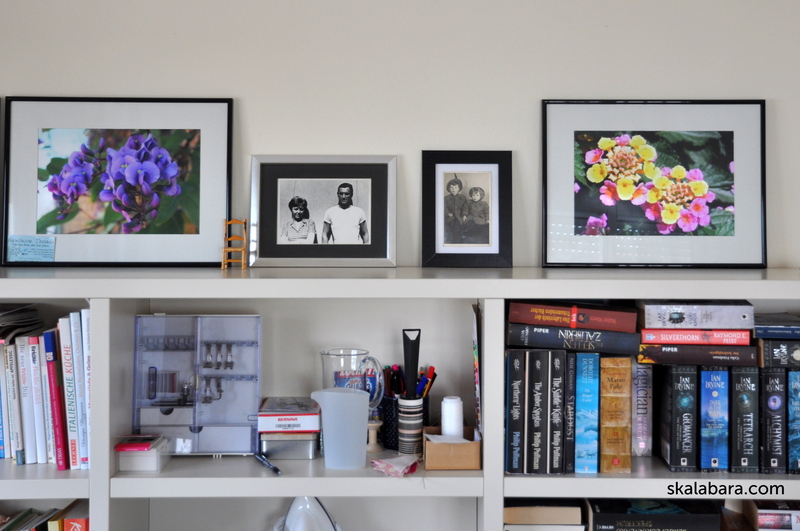 Above a close up with my flower photos which are developed on metallic photo paper and have incredible colors. The pair on the left ares my parents about 55 years ago. The 2 small children are my husband Helmut and his sister Waltraud about 65 years ago. 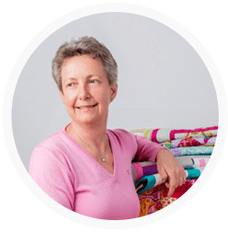 Tomorrow I shall have a day of from sewing, but never the less I can think about my next quilting projects! 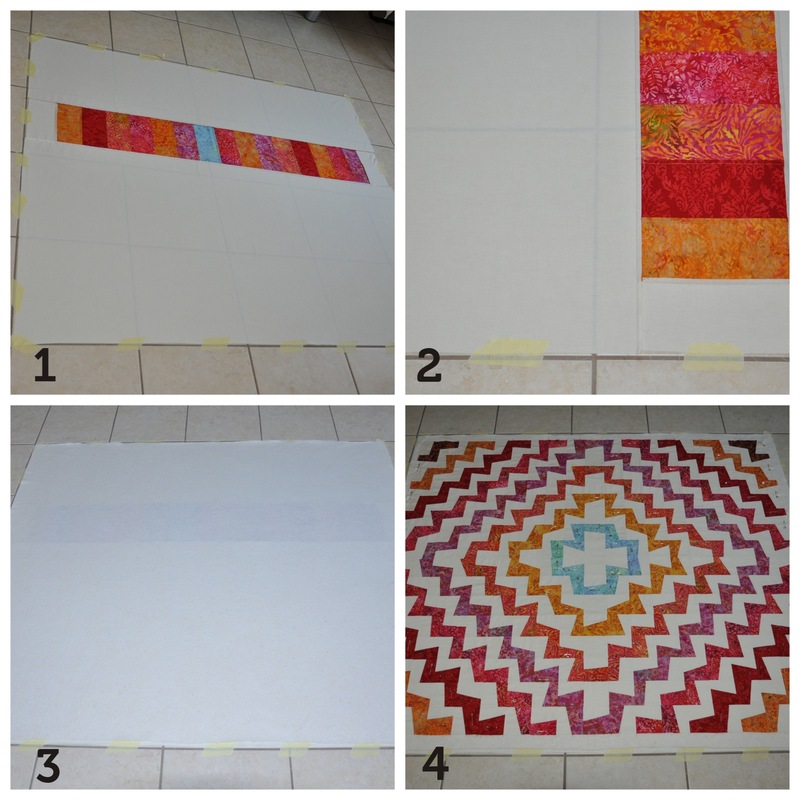 Finally I had enough time to finish the quilt top, select the backing fabric, prepare the quilt sandwich and get down on my knees to do the pinning. You can’t really see the basting pins on the photo, but believe you me, they are there!! 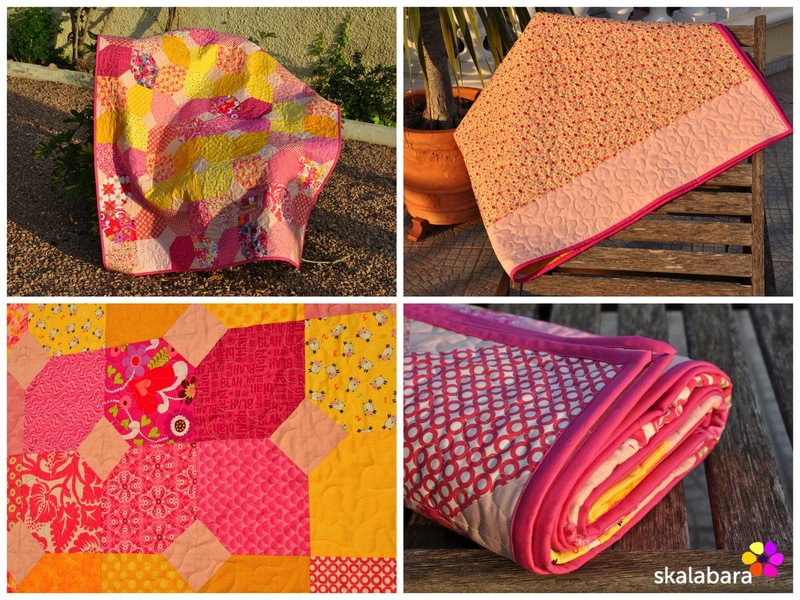 More quilting tomorrow, and the day after tomorrow and the day after …. Anyway looking forward to do the binding. The summer has taken over a we had a few very hot days. Luckily the nights are still a bit cooler, so no need for air-conditioning through the night. I have worked on my blocks for the MQG Challenge. I am nearly there, just need to do a few small alternations and think about block names. 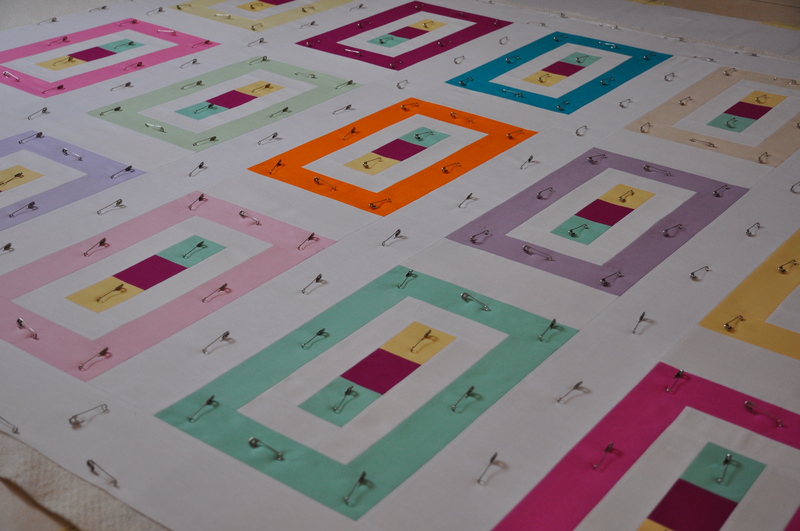 My second and larger quilt “floating colors” is ready for quilting. 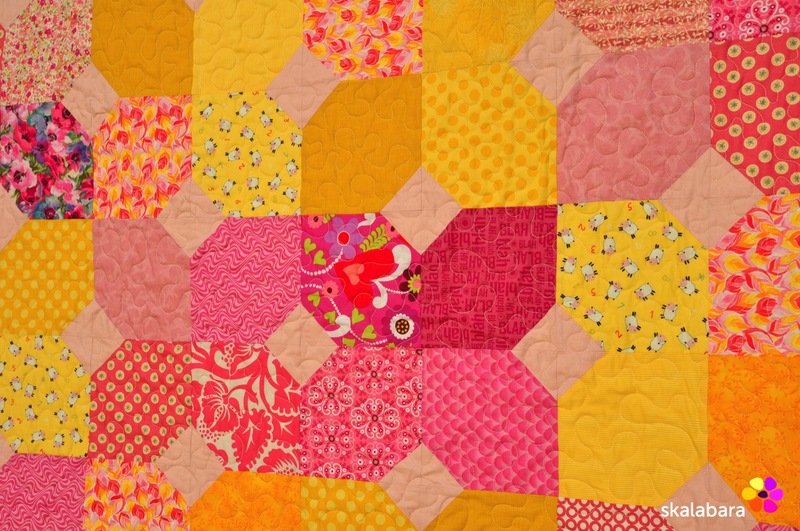 This time also I want to combine straight line and free-motion quilting – like on “oh baby, baby #2“. We are having the house interior painted. 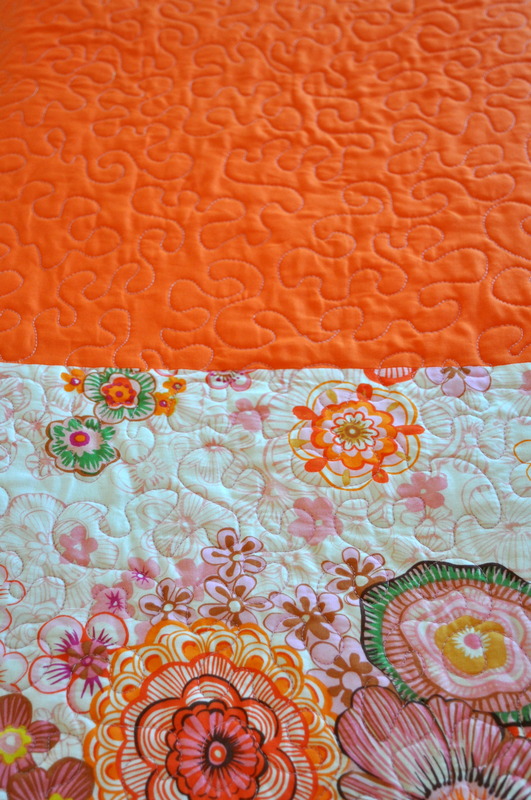 This puts the quilting back, but I can always do something on the computer or go a take a few photos of the flowers that are now full in blossom.